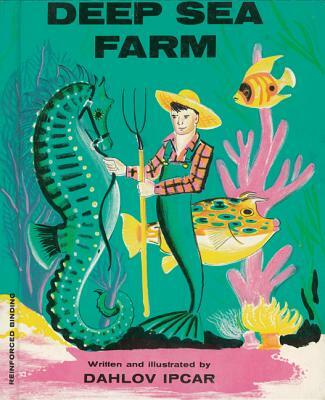 Take a journey to the bottom of the sea with the gentle merman farmer who tends fanciful fields of sea cucumbers and sea beans with the help of his two seahorses. He must defend his cowfish and sea hens from fierce sea lions and tiger sharks, and free any sea creatures caught in traps or nets dropped from above. Legendary artist Dahlov Ipcar brings this enchanting undersea world to life with her vibrant illustrations and clever transformation of a traditional farmer's tasks to a deep sea setting. In a career spanning more than half a century, beloved Maine artist Dahlov Ipcar has written and illustrated more than thirty children's and young adult books including Brown Cow Farm, World Full of Horses and Lobsterman. She has exhibited her art in New York's Museum of Modern Art and has completed ten large-scale murals for public buildings.